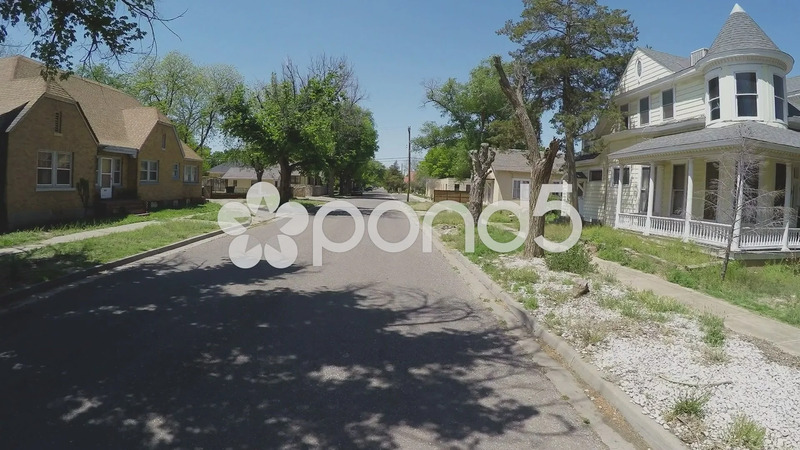 Description: Point of view driving vehicle shot of a residential street in Roswell New Mexico. A driver passes through a middle class neighborhood in the Southwest. Part of a series of clips by ChromaVid featuring point of view driving stock video.